Lothian and Dublin flog it ! 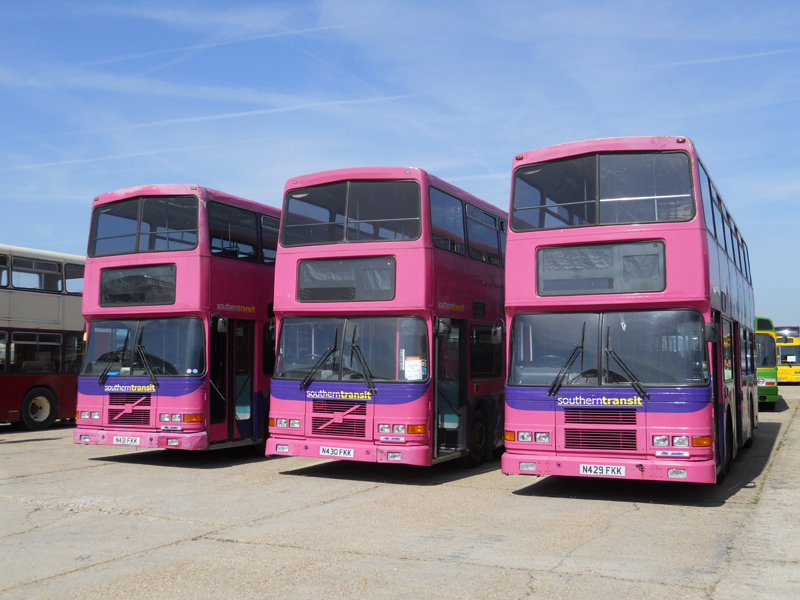 Dublin bought over 600 Olympians - about 300 of the Leyland variety (RA class) and then another 300 by Volvo (RV class) with the last being delivered in 1999. 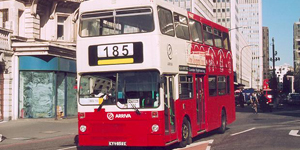 They were all bodied by Alexanders and after sterling service in Dublin, many have found new homes on the UK mainland. 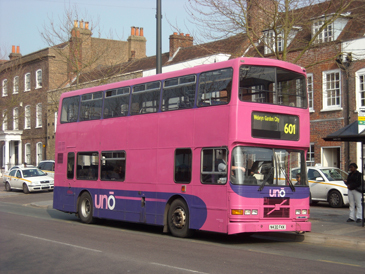 Operators include Southern Transit (with some former Uno examples), TM Travel, Warrington, McColls and Acklams. 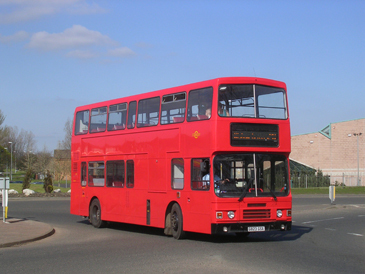 Lothian is one of the largest operators of double deckers in the country and is renowned for its high vehicle standards. So it is no surprise that their excess Olympians, now available on the second hand market, are proving a popular buy. They took about 450 new Olympians - a mix of Leyland and then Volvo, mostly bodied by Alexander again. New operators of these vehicles include Velvet and Coakley although many other companies also employ them. 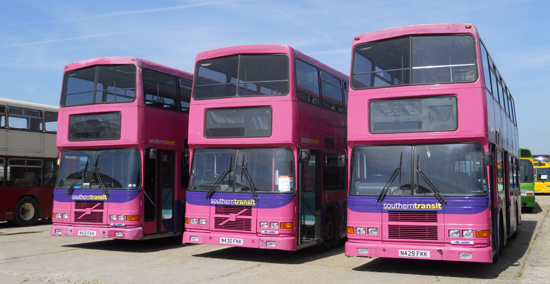 Southern Transit operate rail replacement service in the South of England. They recently purchased N431FKK, N430FKK and N429FKK from Uno in Hatfield whose livery they retain. They were originally RA276 (96D276), RA277 (96D277), RA269 (96D269) in the Dublin fleet and are seen at the Cobham Rally in April 2011. 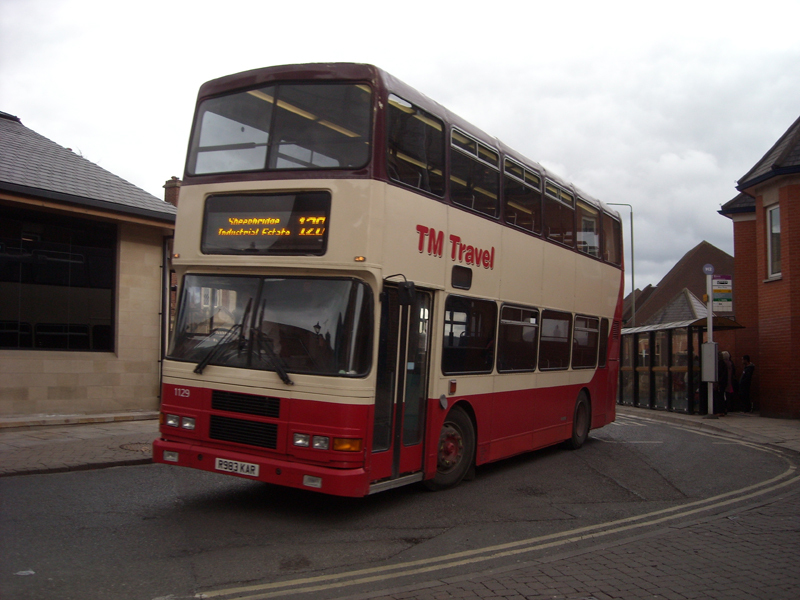 TM Travel 1129 (R983KAR) is former Dublin RV394 (98D20394), seen in Chesterfield in March 2010. 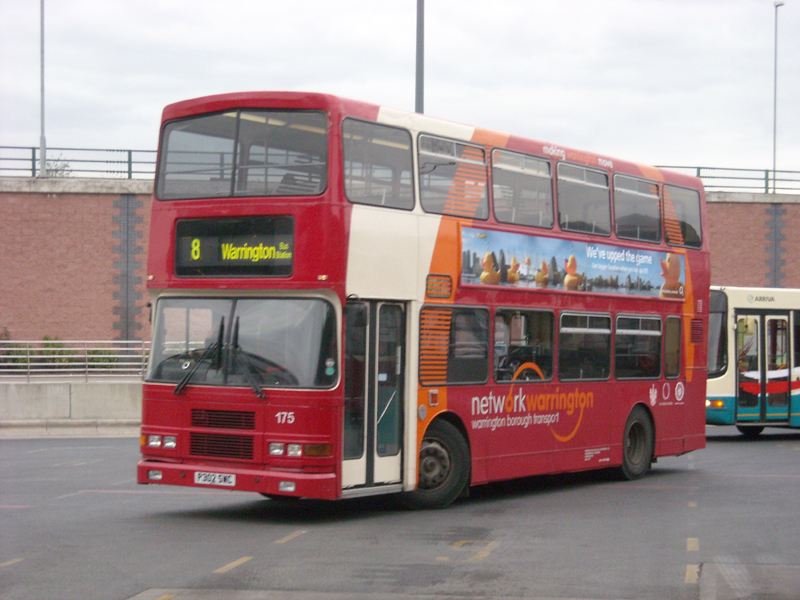 Warrington 175 (P302SWC) is former Dublin RA313 (96D313) and is seen in its new home town bus station in March 2010. McColl still provides competition for First Glasgow in Dunbartonshire. 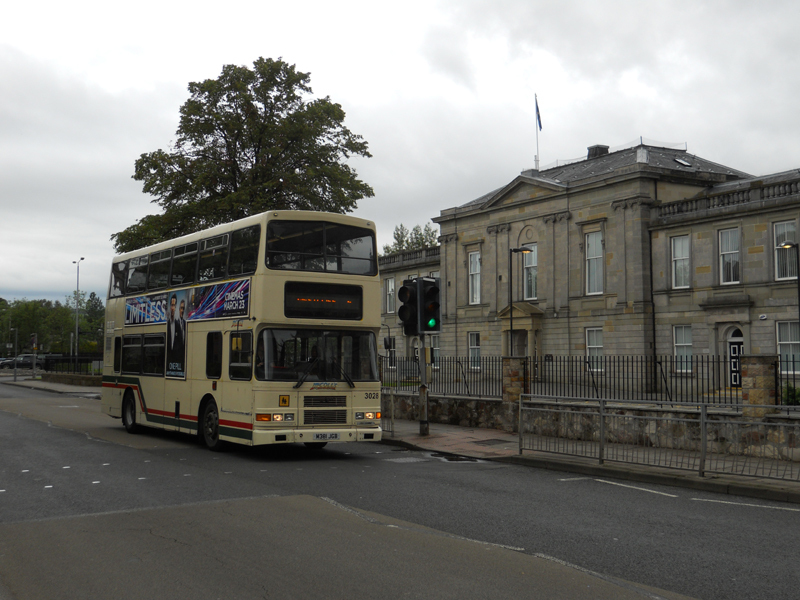 Seen passing the former county buildings in Dumbarton in June 2011 is their 3028 (M381JGB), formerly RA213 (95D213) in the Dublin fleet. 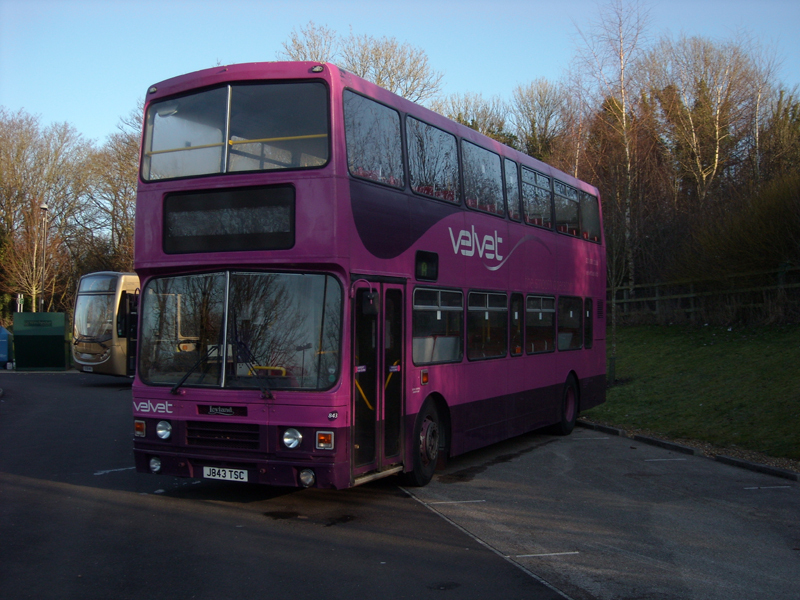 Velvet are a well turned out local independent in Hampshire and have J843TSC from Lothian. It is seen at the King Alfred running day in Winchester in January 2011. 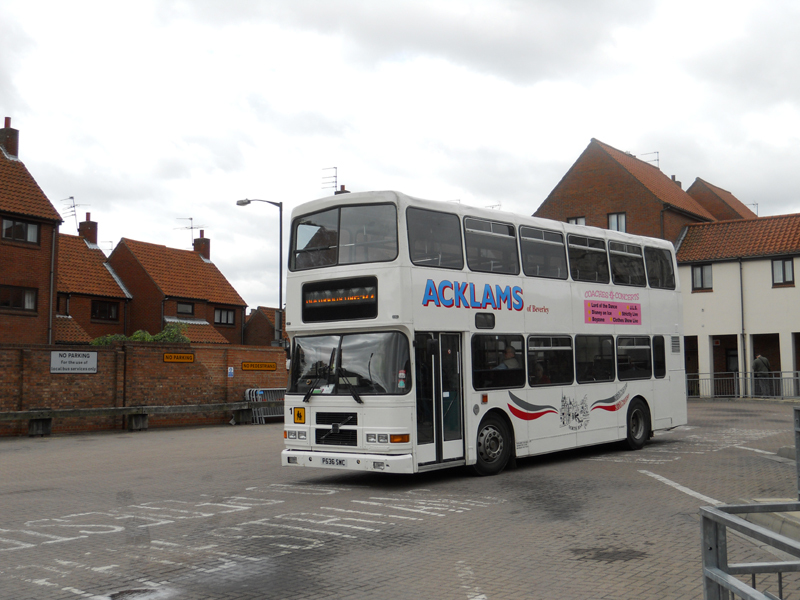 Acklams of Beverley in East Yorkshire has P536SWC which is seen in the bus station in July2010. This started life as Dublin RV330 (97D330). Uno operated several former Dublin Olympians such as N430FKK see in St Albans in April 2009. This has now moved to Southern Transit (see above). Coakley G823GSX, an Olympian formerly with Lothian, is seen in Motherwell in April 2009. 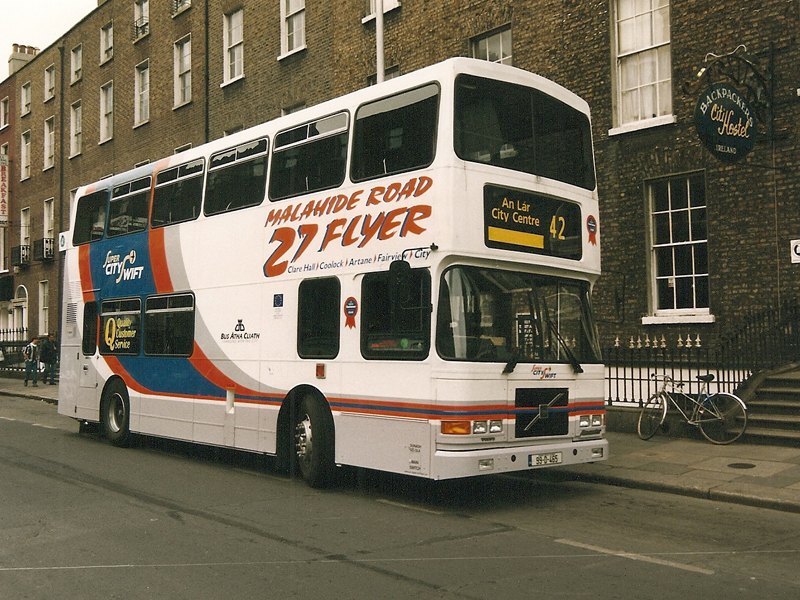 Dublin Bus RV465 (99D465) in its native city in March 1999. This bus became Procters S874OHN. 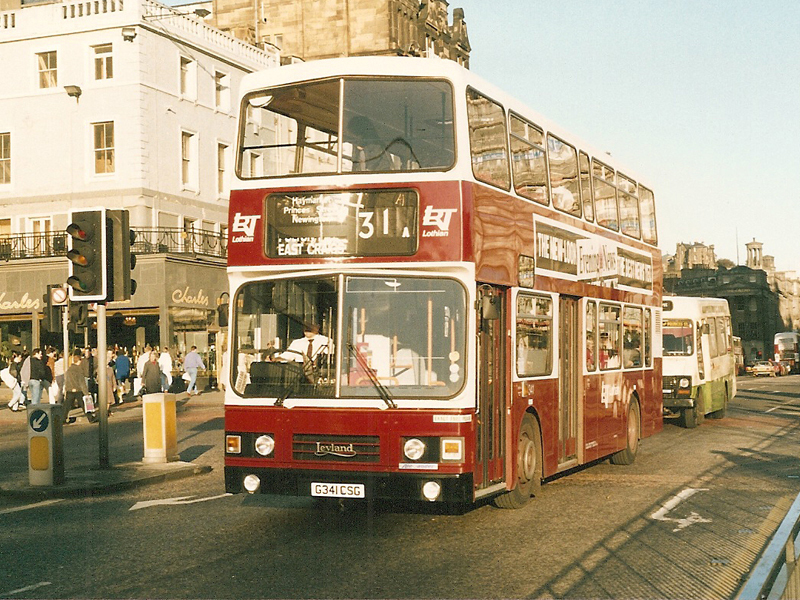 Lothian G341CSG in Edinburgh in December 1989. This vehicle is now in the Hosburgh fleet. Lothian Buses has fought long and hard with Eastern Scottish (and its successors). 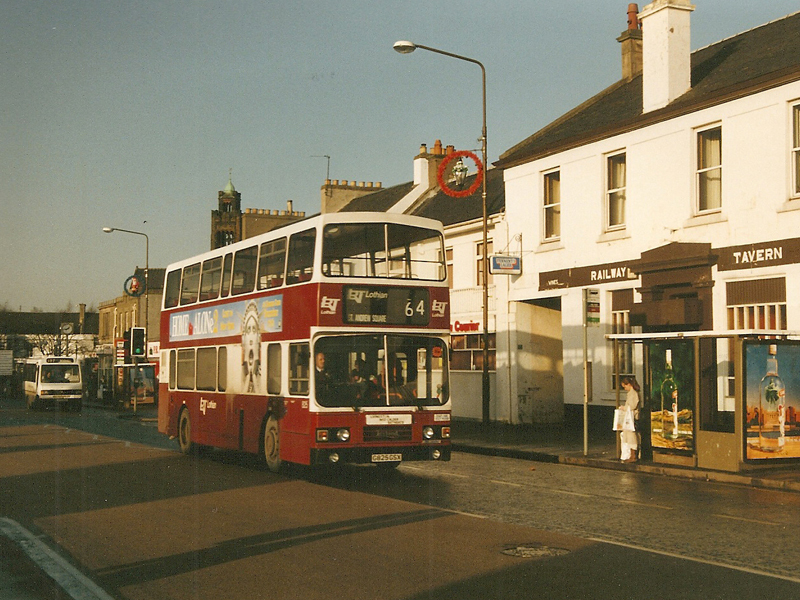 Their G825GSX is seen in sunny Bathgate (not something often one says) in December 1992. 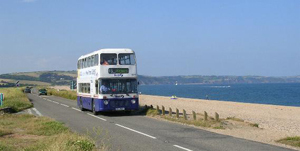 This bus (along with G823GSX above) is now with Coakley. One of the best times to visit Edinburgh is for New Year and one of the best places to eat is Browns. Located in George St just behind the throb of Princes St, it is a lively place that serves bistro style food at reasonable prices. Part of a chain based mainly in the South of England. If you enjoyed the above article you may be interested in these articles which were first published in October 2005 and December 2002.